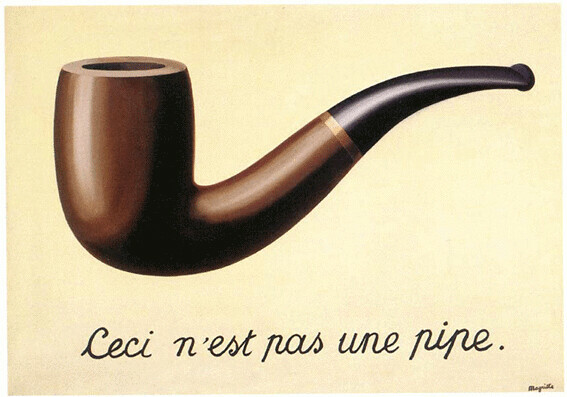 René Magritte (1929) La trahison des images. Creative Commons photo by Dan Iggers (Flickr). A Frenchman has invented a tobacco pipe which has a whistle in the stem in order to enable the smoker to summon a cab without taking the pipe from his mouth.